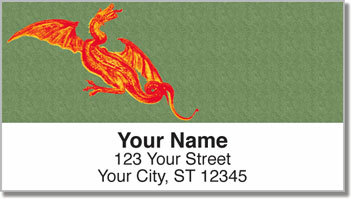 Make your mail legendary when you stick striking address labels featuring artistic imagery of age-old dragons onto every envelope. These colorful illustrations feature fire-breathing beasts in flight. In ancient Asian culture, dragons were seldom sinister. Rather these magnificent monsters were guardians. 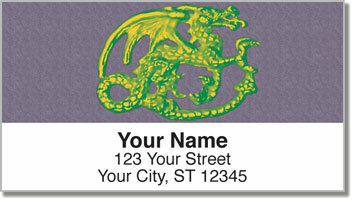 Imagine these dragon labels are guarding your letters and packages when you send them out! But what you'll really love about his product is how helpful it can be. 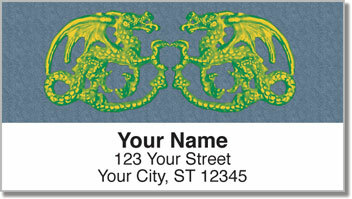 Forget about scribbling your name and address over and over again. A self-adhesive backing lets you simple peel and place. 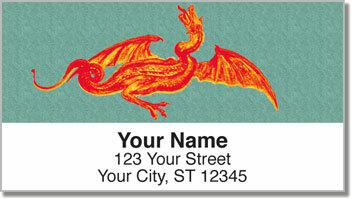 Get your very own Ancient Dragon Address Labels right now! Complete your order with a set of matching checks.